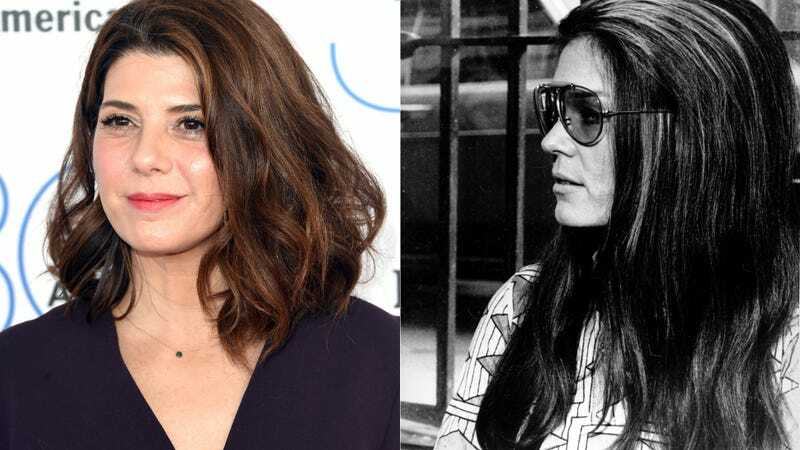 HBO's fascination with feminist all-star Gloria Steinem continues: the channel is reportedly working on a mini-series about Steinem and the creation of Ms. Magazine, starring Marisa Tomei, with Kathy Najimy playing Bella Abzug. Oh, and it's being produced by George Clooney. The mini takes a look at the creation of Ms. Magazine in 1971 through the eyes of the the woman who co-founded and ran it, Steinem (Tomei), and her best friend, member of the US House of Representatives Bella Abzug (Najimy). The project also will reflect on those whose lives Ms. changed during the world-altering early days of the Women's Movement. If it is about the creation of Ms., the inclusion of Bella Abzug is an interesting one; while she was somewhat involved on a larger level, she wasn't really up in the day-to-day nitty gritty. We can hope that her role in this retelling will be to contextualize Ms.'s place in the women's movement during the second wave, which would be more accurate. In any case, Steinem is notoriously particular about how her life story is told, so it's likely that that this got off the ground because she was pleased with HBO's last attempt, their documentary Gloria: In Her Own Words, which revealed almost no new personal information about her. Tomei has a deal with HBO, and Najimy has been on Veep recently. Najimy's involvement makes sense past that; she was named a Woman of the Year by the magazine in 2004 and was featured in Ms.'s 2006 cover story "We Had Abortions." In the former profile, Steinem is described as "a friend" of Najimy's who also officiated her wedding, and is quoted as saying, "Kathy creates laughter that comes out of compassion and leads to understanding. I see the intelligence and generous heart that informs everything she does."